Former Binyamin Regional Council Head recounts how Shimon Peres was proud and supportive of the fledgling community in Judea and Samaria. 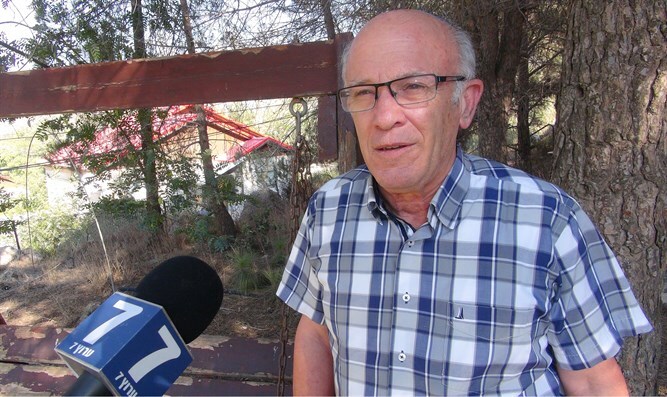 Former Head of the Binyamin Regional Council Pinchas Wallerstein told Arutz Sheva about Shimon Peres’ role in the establishment of, and support for, communities in Judea and Samaria - though he was hard-pressed to reconcile these actions with the Oslo Accords that Peres initiated. Wallerstein said that he did not believe that Peres’ support for Judea and Samaria communities stemmed from narrow interests related to his political rivalry with Yitzhak Rabin, nor did it stem from his being a Land of Israel activist. In a later period, on his 80th birthday, Peres sent BBC journalists to Ofra to take pictures in Ofra so that they could see what the community had built. “This shows how, decades after the founding of Ofra, he was proud of the community’s establishment. How does this mesh with his support of the Oslo Accords? That is impossible to explain,” Wallerstein said. “The merits of Shimon Peres, in his contributions to the formation of the State and its defense, in that he was a protege of the founders of the State - who also had their faults...you don’t deprive a leader of his merits on the basis of his faults,” Wallerstein said.